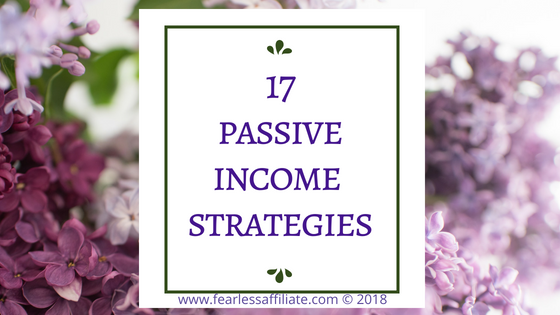 Today, my friend, I want you to consider your passive income strategies. And why would you do that? Well why wouldn’t you? Extra money is awesome! This article from Forbes says that 63% of Americans don’t have enough savings to cover a $500 emergency. Don’t be one of those people! When you start receiving bits of cash or good discounts more and more often, you will know, without a doubt, that you are doing it. You are creating your own stuff. It is within reach, all of your dreams. And it feels good! And the better we feel, the easier it is to believe in ourselves and keep perpetuating that feeling! When I was a teenager, I had a job as a waitress for the summer. I loved it. I loved that constant stream of cash and feeling like I had hit it big in Vegas or something. I always had cash and could do whatever I wanted. It was freeing. And passive income will give you that feeling as well. 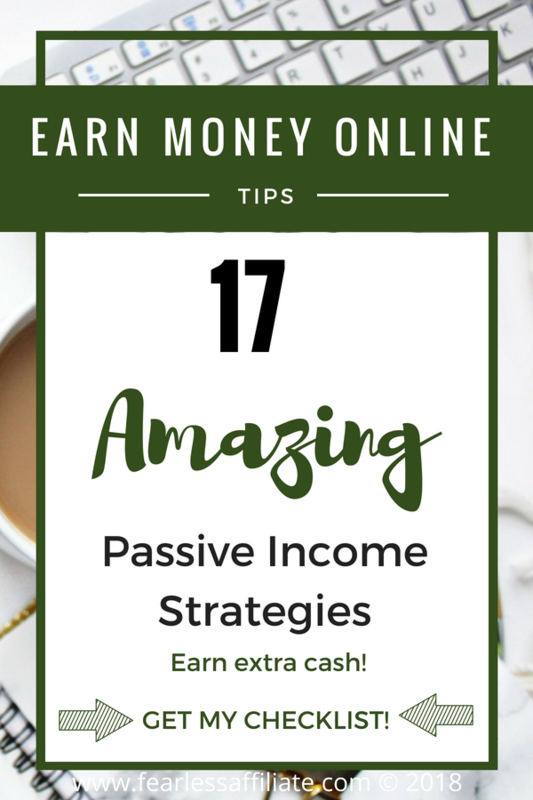 Here are 17 passive income strategies, and most of them do not require you to blog. And some of them can even be worked into tasks that you are already doing. Win-win! I love win-win. You can start doing some of these today and have multiple streams of income! Sign up for my email list to get the cheat sheet that goes with this post. It will be in the Resource Library after you sign up. It is amazing how many ways there are to earn extra money, but more importantly is this. When you can do some of the things on this list and earn money you will see that there are countless ways to bring more money into your life. And once you start finding more ways to bring in the moolah, more ideas will come to you. Pretty soon your money troubles will be far behind you. A personal favorite of mine right now. If you have one, you can rent it to foreign exchange students, college students or even Air BnB. This works especially well if you are close to the school or close to a bus route that can take said students to the school. For students, you can negotiate whether you feed them or they buy and prepare their own food (depends on the rules from the school or organization). You can also rent out parking spots if you live near a big venue. Or you can rent space in your backyard for people to camp on. Get creative with your real estate and create passive income for many years. Of course this is an advanced step because most of us do not have the cash laying around to just buy another house. It goes along with the suggestion above though. If you are able to pull together the cash for house, and then rent it out or rent out all the rooms, you can make enough money to pay the mortgage, taxes, repairs and earn some cash for you. If you are not living the house you will have to be discerning on who you are renting to. You can create multiple streams of income from one house. Sell stuff online: Sell your used or unused stuff on places like eBay. People are always looking for a deal, or a rare or vintage item, so get up to your attic or down to your basement and start looking for stuff you no longer need and are willing to sell. Search for similar products to find out how much to sell your stuff for and take some quality photos to elevate your stuff above other people’s stuff. Alternatively, have a garage sale and sell your stuff that way. I am doing a lot of that lately just to clear clutter from my home. If you are doing some de-cluttering, have a yard sale. Your junk is another person’s treasures! I am not crafty, but I have a friend who buys old dolls on e-Bay and then she cleans it up, makes new clothes, does the hair and re-sells it and she makes a killing. If you craft and create products, have an Etsy shop. Or create a website and sell your stuff on it. Starting out on Etsy can teach you the basics of what people are willing to buy and how much they are willing to pay, so it is a nice jumping off point to learn with. As you get a better understanding of how selling online works, consider having your own website (or buying an expired domain website to refurbish). This was what I wanted to do before I stumbled onto affiliate marketing. And I plan to do this in the very near future, because writing a short, 50 page e-book can be pretty easy if you know the subject that you are writing about. There are tons of e-books on Amazon that sell for a few dollars, so do not worry about writing an epic novel. You can write about something that you know about like 50 household products that you can make with coconut oil. Or the best desserts made with lemons. And you can write as many of these books as you want. You can also give them a push up the list by offering it free for a couple of days and getting your friends and family to download the book and write a review for you. As you get better at writing or can write bigger books on other subjects, you can sell the books at a higher price. 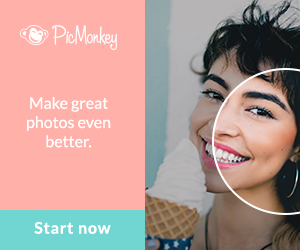 If you take decent photos, consider selling some online. 500px, Shutterstock, and iStock are always looking for new contributors that will sell their unique photos online. Do you have a skill or hobby that can be taught using video? Try your hand at making a video and promoting it on YouTube, and putting AdSense ads on your videos to earn some cash. You probably have skills that you have never considered that can make you money. Are you good at cake decorating? Pruning trees? Fixing cars? Building sheds? The list goes on and on. I know that a YouTube video saved the day for me showing me what all the numbers mean for tire sizes. The video that I watched showed real examples and the video host explained which numbers are important and why. Super helpful. If you can find an inexpensive website that is in a niche that you are interested in, and pick it up for a small price, you can update any useful content and start adding your own. People start websites and then later abandon them for whatever reason. This can be a goldmine if you find the right one. You want a website that has established traffic and evergreen content. If it has income from Google AdSense, even better. 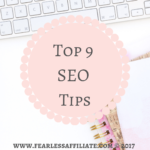 How much you pay is related to the value that you place on the existing content, but established websites are already indexed in Google, so that is helpful right out of the gate. There is a new internet business that I encountered recently that is promoting just that. Buy up domains, clean them up and add new content and then sell at a higher price. Start a blog and do affiliate marketing. Create a niche website and write blog posts on subjects that you have knowledge of or are learning about so that you can share that knowledge. Do not think that you have to be an expert. People enjoy learning from other people who are learning, especially if you are honest about being a novice. Share your struggles about you did not know something and all the steps that you used to learn about it. Or how you could not find the information that you wanted online, so you create a website to help others learn about this subject. 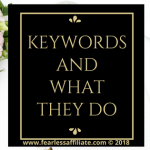 The possibilities are endless and there are thousands upon thousands of affiliate products to go with almost any niche website that you can think of. Many of these products are digital (books, e-courses) that allow for instant download. Customers like this because there is no wait to receive the product and they can use it right away. As well, the products are generally priced much lower than physical products would be because they are digital and cut out the middle-man, so no printing costs, no publishing costs etc. Related Post: Want a super successful affiliate website? Or promote your online course. If you are not comfortable going in front of the camera, how about writing out the steps to completing a project of some kind? 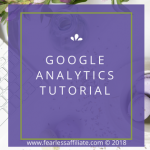 If you can write out each step required, and why, you can create your own course and sell it on your website, along with affiliate products. 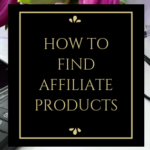 You can also link to affiliate products from within your course. Drop-shipping does not require you to have inventory, which is the beauty of it. How it works is that you promote someone else’s products online (much like affiliate marketing). A customer purchases the item and it is shipped from the vendors warehouse and you collect a commission for the sale. Got skills? Rent yourself out as a freelancer or consultant if you know lot’s about something. You can do this on a job-by-job basis, monthly, contract or other arrangement. Virtual Assistants (VA) are cropping up everywhere in the online world, so if you have a skill that someone else needs you can earn extra cash from that. 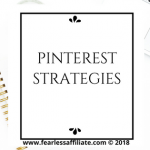 Right now for bloggers, there is high demand for Pinterest VA’s, so if you know how to create pins and how to promote them, then you can earn full-time money from working for several other people doing their pinning for them. Here is where you can earn money from doing something that you are already doing, which is searching online. You will be looking for companies that offer cash for surveys, or at the very least something that makes it worthwhile for you. Ebates comes to mind, as they offer a $10 bonus for sign up. The thing with websites like this is to only purchase things that you planned on buying anyway. Otherwise, if you buy stuff online just because it is a deal, it defeats the whole residual income idea. Lots of websites give you percentage-off deals on website shopping, so this may be helpful to you but it does not add money to your wallet. Free rent? I like the sound of that! If you are in a position to give up the home you are in now, and you can find several housesitting gigs that you can string together, you can live rent free. It is becoming more and more popular for people to travel the world, housesitting wherever they go. This works well in conjunction to having a blog that is paying you a decent income so that you are free to leave your home country and travel, at least part of the year. I had a supervisor who house sat for 5 years locally. They were supposed to build a house, but never got around to it because they really liked the freedom. 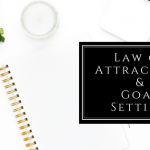 What you are looking for when you renegotiate is lower interest or travel or other benefits that can take the burden off of your 9-to-5 earnings. Look for no-fee transfers of existing balance, and long low interest rates. Or you will be transferring your balance every six months after the current bonus interest rate expires. Totally do-able depending on your balance. If you look at your statement and see exactly how much of your hard earned cash is just going to interest, this may be a bigger savings than you realize and worth your time to set up once or twice a year. As for travel rewards, I know many people who use their reward card to pay for everything and they are racking up tons of travel benefits. And they pretty much only have the one bill to pay each month. This works great if you are good at budgeting and are only buying what you actually need each month. Benefits from using a travel rewards card this way are beyond just free airfare. There are free hotels/motels, free concerts and shows, free gas and tons of others. Shop around for a card that offers benefits that you can use in real life. I saved $180 in regular banking fees for a year doing this. I also get free checks, and that is the reason I ditched my last bank; they charged me $45 for 100 checks. So by switching to an online bank I saved $225 that year (I do not use checks very often). My online bank will do anything I need them to do over the phone. There is no attitude and everyone that I have dealt with at my online bank over the past 5 years has been very helpful and accommodating. If you are out and about anyway, why not pick up a passenger and make some money? Sign up and get started on your schedule. Alternatively, you can also rent out ad space on your car. You will have to look for opportunities locally, to get your car wrapped with an ad, but if you are already driving around this could be the ticket to some extra money. You see more and more people doing this as needs arise in our digital world. Here is a story that you can read if you are thinking of creating an app. Well this post went on longer than I thought, so I will leave you with this thought; there are tons of ways to earn some extra cash. Some are one-offs and others can be done over and over to help you achieve an increase in residual income. Have an awesome week and remember to follow me on Pinterest! A helpful post, thank you. I never thought to renegotiate credit cards, you kind of feel stuck with the bills they send and you have to pay them. I tried dropshipping but didn’t find a good enough product that i’d stand behind proudly. It was all stuff from overseas that wasn’t very good. 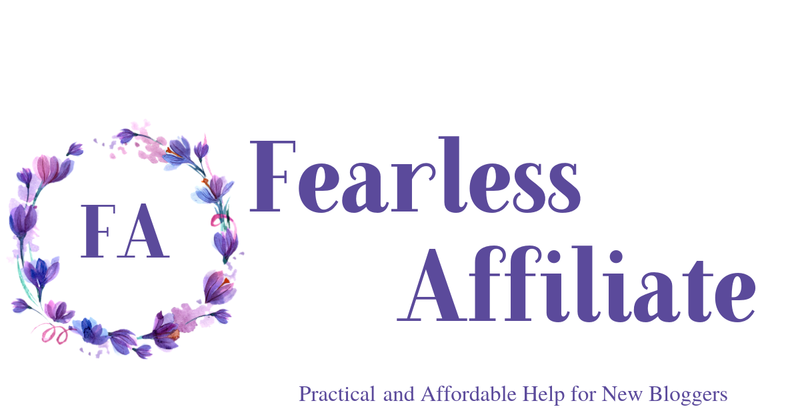 Using a blog to share your struggles (as you said) is a good outlet and useful for others to relate and even get help as they read what you did to get to the next level. An associate of mine created a very lucrative dropshipping business with Shopify. I can direct you to him if you want to PM me. I have re-negotiated credit cards several times and it is shocking how much you can save in interest payments. Nice article. Lots of good ideas here that I’ve never thought about. And thank you for visiting us today John! Your website is so helpful and informative for anyone out there! We could all use a little extra money and there’s so many ways you can do it, it’s just most people don’t take the time to look into extra oppurtunities. I truly believe your website could really help someone out there! Hello Alexis and thank you for visiting us today! Hello Hanna and thank you for visiting us today! I agree! It is my hope to have at least 5 different ways in place and earning by the end of this year. And to keep adding on streams until I feel financially free. Wow! This was so thorough and informative! You showed me options I never knew existed like house sitting! Thank you for all of the incredible information and I can’t wait to get started earning passive income! Hello Hudson and thank you for visiting us today! 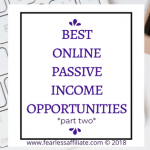 Yes, I was shocked by how many opportunities there are to earn passive money these days. Best of luck! Thanks for the great information! Especially the section about credit cards, I’ve been meaning to do that myself. Hello Sarah and thank you for visiting us today! Yes, credit cards. They used to be for emergencies and now they are mandatory for life! If you have a program that tracks your credit history, like Credit Karma, they will send offers for credit cards that you can swap out to get a better deal on interest. This is definitely helpful. I think the earning rate for each strategy is different. What you would earn from renting a room or house would be different if you complete surveys or do freelance work. Can you share which online bank system you are using? I would love to save some fees as well but in this era of scams how do I find legitimate banks online? Hello Dira and thank you for visiting us today! Yes. The point of having all of these different ways to earn money is that they are adaptable to your situation. If you drive around a lot and do not mind having strangers in your car while you do that, then driving with Uber can be a great source of passive income. If you have a large home and a few extra rooms, you can have someone else help you with the mortgage payments. The list is mostly about thinking of ways to do things that you already do, but earning or saving money while you do it. Like getting discounts for buying things you want to buy anyway. I live in Canada and use what used to be called PC Financial and is now Simplii Financial. I signed up online. There are others, like Tangerine. PC Financial was convenient because they had a banking machine, kiosk, and banking center in a local supermarket. I have had zero problems with them. I order checks and I have them in hand within the week. They are super helpful and there is no waiting. You have highlighted some good methods of making some money whether online or just using some common sense. I may sell some unwanted items on ebay to make some extra cash and i stick to a strict budget. I am learning about affiliate marketing on the internet but it will take some time. Hello Andrew and thank you for visiting us today! Affiliate marketing is amazing for passive income! I promote Wealthy Affiliate for anyone who wants to learn to set up a blog and learn the ins and out of it using a WordPress.org content management system (the best, in my opinion). Anything that we can do to create multiple streams of income is great protection for the crazy economic times that we live in! I’ve had an online business for 10+ years now. There is a lot to learn about affiliate marketing. Lots of scams out there. They seem to promise you the world, but don’t deliver. What people need to know about affiliate marketing is it takes 6-12 months before you start making money. So, there will be that long time period where you don’t really make much money. But, you have to keep at it. I really believe a lot of people give up on affiliate marketing way to early. But, once you get it down you can do several different niches and diversify your income. Hello Garen and thank you for visiting us today! Amen to that brother! 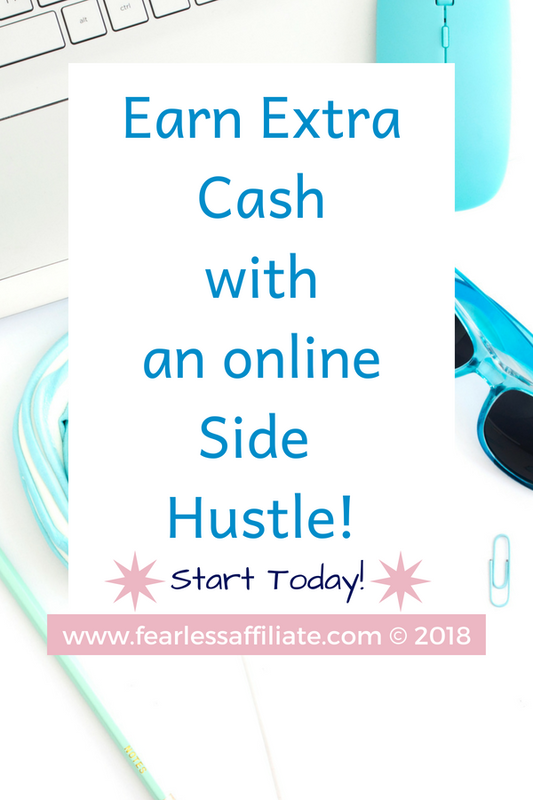 It does take time to earn money from affiliate marketing, but the awesome part is that you can scale your income based on how much work you put in and how many programs or products that you promote. There are so many awesome ways to monetize a blog using Amazon or private affiliate links. I did the bank switching years ago because of the outrages random fees that any little thing. I have saved so much money because of this. I have never or planned to have a credit card so I am safe on that end! I’ve always thought about learning how to create an app or at least gain some more knowledge about it. I will admit, I put creating an app on the list because I would love to do that as well. I really admire people who create apps because I have so many that are making my life better and easier. And yes, saving money by banking somewhere that has no fees is really the way of the future. Back in the day, there were no fees for putting your money into their bank. I do not know when it switched but I am glad for all the no-fee options that are now available. Hi Irma, thank you for sharing some great ideas to earn extra income, I really enjoyed reading the article. You have given me many ideas to bring in extra cash and I will surely be using some of your ideas. I have always wanted to write a book and sell on Amazon but I always thought it had to be an epic, I didn’t realise it is possible to sell 50 pages ebooks on Amazon. This is something I want to do to get some experience before working on a bigger book. I have bookmarked your site and will be returning to read more of your interesting articles… keep up the good work! I was actually looking into writing e-books to put on Amazon when I stumbled into the world of affiliate marketing. I will be writing those e-books, soon I hope. While a lot of people do not realize that blogs are what they are, there is still a huge audience for those inexpensive e-books that can be downloaded and read on a Kindle. 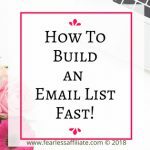 It is also great practice for when you want to write a bigger and more comprehensive book later and sell it either on your website and on Amazon. It is pretty amazing that so many people have so little money in savings. Your list of money making activities is spot on. I have thought about Uber or Lyft as a side gig, but have not done it yet. I am just not sure about having strangers in my car LOL. Another idea that piques my interest in freelancing. I have a blog, but would really like to look into writing for other people. Do you have any recommendations on how to get paid for that? Your banking strategies are interesting as well. Banks make so much money on fees and if I can save myself a few bucks, that would be great. Thanks for sharing these strategies, I appreciate your insight. Heres to making/saving money! Hi Steve and thank you for visiting us today! I admit that I have not looked too far into freelancing, but I have a ton of courses on that subject that I got in the Genius Bloggers Toolkit that I hope to get into this Fall or Winter, because I will do them all back-to-back and then go for it. 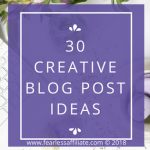 Do you have some writing samples on your website? In your media kit? 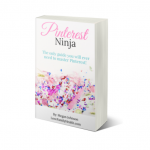 You only need this if you want to write about something other than your blog niche topics. The best way to attract the right kind of people to write for is to have some traffic coming to your website and some good evergreen content. Be sure to have an obvious link to your “work with me” page if you want to freelance about the same niche topic. Then start hanging out at places that you might want to sell your work, and start making connections with other writers. You might want to try sponsored posts as well. Some websites that accept freelance work are ProBlogger and All Freelance Writing. Once you start looking around and maybe join a Facebook group or two that are on that subject you start to find out how everything works; how much to charge and for how much content and who to work with. Great Idea’s on here for some extra income. Rent out a room is great if you can do that, airbnb and other rental sites seem to help renters become successful to rent out space in your home. I love the idea to blog, because you can blog about anything you are passionate about and make yourself successful doing something you love. Hello Linsey and thank you for visiting us today! I agree, blogging really is the way to go! I am also quite agreeable to renting out a room. I live near a University, so that makes it easy to find someone for 8 months of the year! Nice share Irma. This should be a good place for beginners looking to start making money online and offline. But the list can be overwhelming as well since there are 17 of them. My advice for newbies is to pick one among the list and master it. Be sure to consider your passion and knowledge on whatever you choose to do. Hello Nathan and thank you for stopping in today! Indeed! The whole thing about passive income is find a few streams and work them. I think people get ‘stuck’ in life because they do not have options. 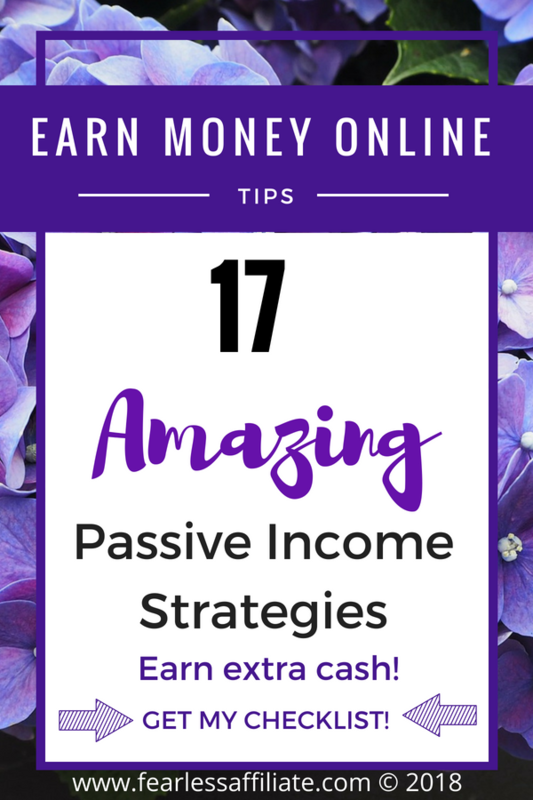 Creating passive income gives you those options.